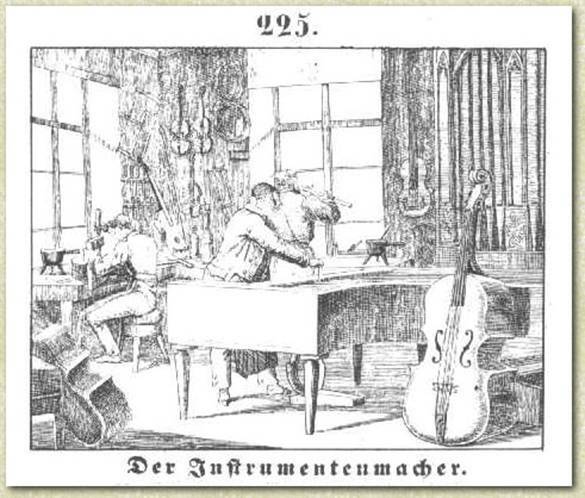 The print is an engraving and the text "Der Instrumentenmacher" is pasted on and probably don't belong to the original print. A closer examination also shows tools: saws, chisels, a plane, glue pots and a clamp. The person on the left is probably gluing a guitar with the aid of a clamp.